Week 7 was pretty slow until Friday. 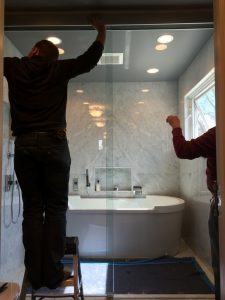 We sealed all of the marble slabs and filled in the ceiling joints. We then secured the, final coat of paint on the walls and ceiling. 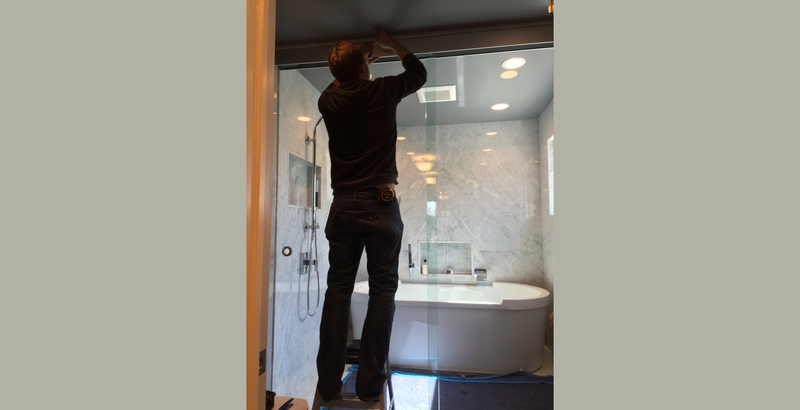 On Friday, we installed the glass shower doors. 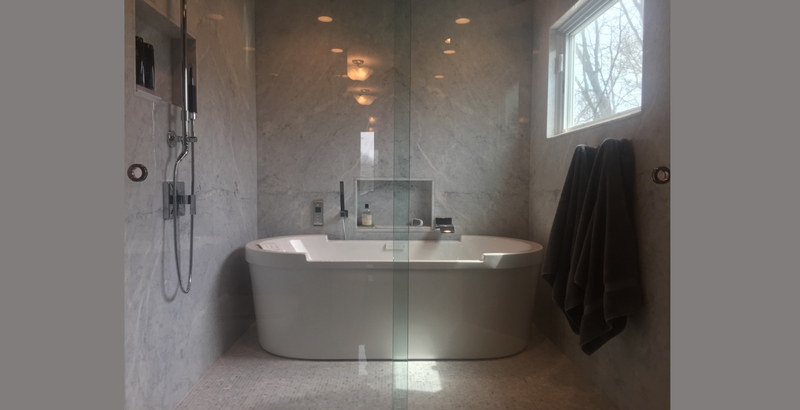 In order to get the look to be frameless, we used 1/2” thick glass and to by-pass with no obstruction, we used commercial tracks for glass walls that are found in hotels, restaurants and institutions. 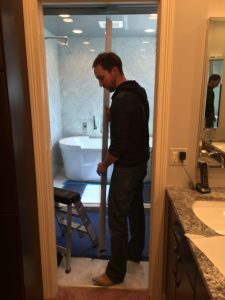 It was a lengthy installation process, as each door door weighed approximately 300 pounds, and unfortunately, I was unable to stay through the completion. 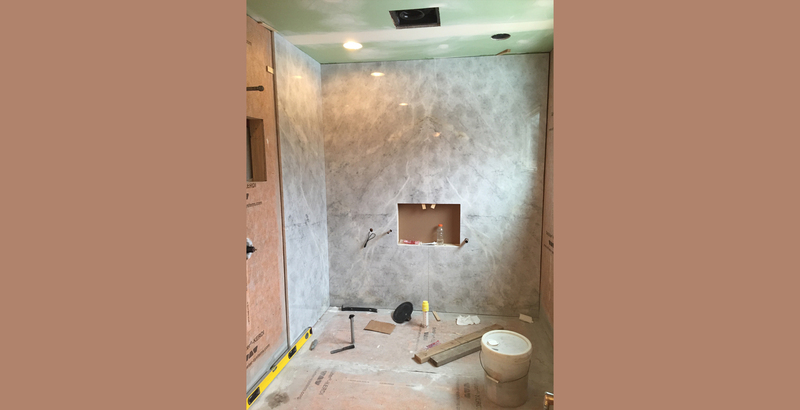 I kept in contact with the foreman and was notified when the doors were successfully completed. Overall everything got done perfectly!